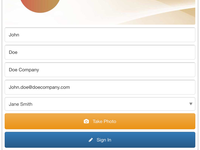 Vizito is a fully featured Visitor Registration Management Solution. 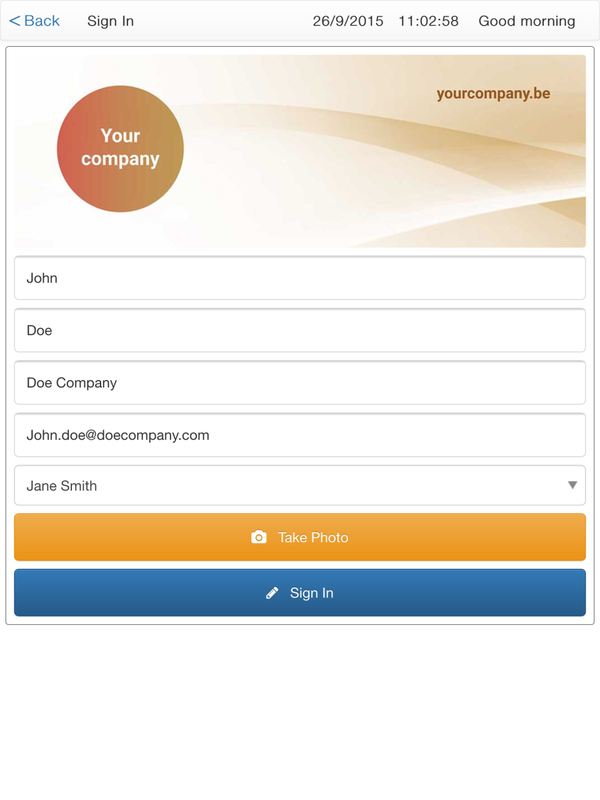 It is cloud based and uses an iOS or Android tablet for registration in combination with a website for configuration and reporting. It can be branded to your needs (no ads) and offers support for receptionist-less front desks. 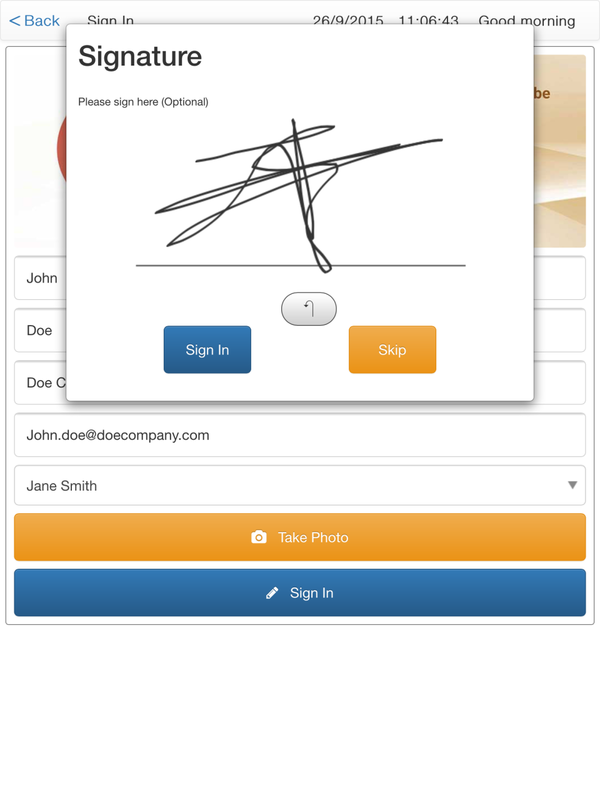 Features: SMS notifications, digital signature and a realtime dashboard. Paper guestbooks do not respect your guests' privacy. Using Vizito, all information is stored privately and traffic is encrypted. + if we have feedback on improving the solution, they will use this feedback. For example, there was an issue relating to GDPR, and they fixed it on the fly, so now we are running a compliant GDPR solution. + if we recommend improvements, they won't let you down and do something with the information. Overall: So far we've had nothing but positive experiences with Vizito... We did have a small inconvenience, when updating our hosts on the portal, but when it turned out that this was due to a bug in Internet Explorer, we switched to Chrome to see that it worked there. We use the software to keep track of our visitors in a social project. Pros: It's easy to use en does exactly what we need it to do. The software is not designed for our purpose and has features we didn't even use, nevertheless is is simple in it's layout and easy to explain to the volunteers who worked with it. Cons: When the wifi fails it doesn't work. Because there's no message or popup telling you this it sometimes takes an experianced user to find out this problem. Overall: We were able to get to know our visitors, nobody came in unnoticed, with issues concerning safety we were able to act quicker and maintain a safe environment. Last but not least we were able to give insight into visitornumbers to fundings. 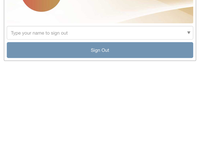 Pros: Easy to use, easy to set up, great integration with LDAP and Slack and very customisable looks. It's GDPR-friendly and it offers a myriad of functions out of the box that allow future functionality to be turned on as the business needs grow. Very satisfied as it is a fit and forget product! Have not had to do one bit of maintenance since we installed it. Cons: Generally very satisfied. The addition of camera support for taking a picture of the visitors would have been a bonus but it's not key to deciding whether to use this product or not. Pros: Very simple with a very user friendly interface. Cons: Not able to update all my sites at the same time. Every time I need to add a new host, I need to do it on the 3 sites separately. It would be great to have one master access that can update the sites simultaneously. We are still awaiting for an update that allows the system to send notifications by email. Overall: Highly recommended and cost effective. Cons: Not really a con, more a suggestion. The should be a test account that one could use that doesn't count as a real user to troubleshoot and/ or test Vizito. Meraki integration would be a great feature addition. Pros: We find this system just perfect for our requirements. Having trialed a few it seems others tend to over complicate their system. This is easy but functional. 5 stars!! Cons: Would be nice to be able to see the device battery without having to come out of the app. As the tablet is in a case it is a hassle having to open it up to press the home button. This is my ONLY reccomendation. Overall: VERY GOOD. Cannot fault it at all. I will be recommending to elsewhere. Excellent customer service provided by Steve and Pieter. The product is very easy to use. Cons: I would like to use it as an employee sign in and out system also, which is being developed further to what it has already been done. Works the same as the visitor system. No other cons really. Overall: It has decreased the workload on the reception staff. Also we have a full audit trail of staff. An impressive, straight-forward and professional product with great support. Pros: This software presents a very professional looking check-in system that was easily adaptable to our needs. The technical support we had was second to none! I would not hesitate to heartily recommend this system to anyone who needs to impress their visitors. Cons: It could have done with a bit more steering on the badge design, maybe some templates, but i appreciate this could be very difficult to do as there are so many ways they could be outputted. Pros: Being a small company, every bit of time we can save implementing a system can help massively! The software is really easy to use for all of our visitors and great to update for our administrators. Cons: We haven't come across any bugs with the software, so cannot comment! Overall: We required visitor logging for the implementation of our ISO 27001 certification. From the first free trial to production it only took 4 days. Including translation ! Wow! Pros: It's very easy to use. 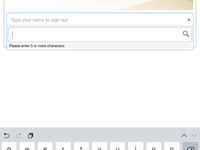 My colleagues quickly were able to use it, and signing new guests in is very easy. The support staffs were very helpful, and we had the iPad app plus the backoffice web translated into Danish within a day. Cons: It's really hard to find something to not like. We have asked for a GDPR compliant version with the possibility to delete logs of previous visits. It's in the process of being implemented. Overall: For our ISO certification we need to have guests log in at the entrance. This is very easy. Easy to use, highly customizable, perhaps the best support I`ve experienced. Truly a great product! Pros: The users themselves can customize the look and feel very easily and on the fly. It work great with LDAP integration and the support is beyond what is expected. We are very happy with the product. Overall: We got a very satisfied customer for which we set up this solution. They use it everyday and think it`s highly fuctional and professional looking even for their users that are not very tech savvy. For LDAP integration, you have to know some LDAP (obviously). I`m certainly no expert at this, but the team at Vizito helped out alot and made all our ideas come true. Comments: Great product easy to use. It is fast and the IPAD solution is well integrated. The labels are cheap and you can customize the software to meet your needs. -Can be personalised with your company colours and logos. -The only software I could find that worked with Android. Cons: - I have no cons for the app, it works well for us and the only issues I had installing it were due to our companies IT System. Overall: A great experience with very helpful staff always available to answer any questions. We got vizito to cover our un-maned reception area and have had a lot of compliments from customers and visitors about how good it is. Cons: The flexibility, for example when people arrive who won't have an appointment. They would have to know who works in the company if they want to register. We had to add a sign to give the options. Overall: Vizito is a great system, it has saved us the cost of a person at the reception. The customer service is a bonus. The instant help via the chat is a great reason why we have choosen Vizito. Pros: We needed a solution that could be customized to our needs. With some help from the Vizito team, we could present a solution that today is very appreciated by our visitors. And it is in Norwegian, too! Cons: I would like to have a solution that prevents double bookings. Overall: All my questions and problems have been solved at any time I have needed support. They really are interested in what our demands are and are willing to propose solutions. Pros: Its easy to use and i didn't have to train the receptionist. its pretty straight forward. Cons: The interface. Its good but it can be better. initially my organization wanted to go for another with a pretty interface but Vizito is easier to use and straight forward. Overall: Vizito has helped to track all visitors in the organization and it helps me run statistics and reports. Its saves time ans makes the organization look cool. We've had a great experience with Vizito. They helped us with every problem along the way. Pros: We've only been using it for some weeks but the response from both the visitors and visitees has been very positive. No more waiting in line when they're visiting our company and the visitee immediately knows who has arrived and can come greet the visitor. Overall: a smoother reception of our visitors. Maybe some people will miss the human contact of a receptionist. Overall: Very good and fast customer service. Catered all our need and wishes (even translated in our language!). Recommend! Pros: I loved how easy it was to add fields and customize it to fit our specific needs. Cons: There is nothing that I don't like about this software. Overall: Team was incredibly helpful in answering questions and showing us a few tips/tricks to make this software work for us. I have accurate data on each of our residence, which is exactly what we were looking for when going paperless. Great support and great software ! Pros: Support very friendly, they are open for suggestions. Overall: After using the free trial we were satisfied with the results. It was exactly what we were looking for but we had some additional questions which were answered by their extremely friendly support ! We are now on a paying subscription for 2 months and didn't regret it a second ! Pros: Smart and practical . It is cloyd base and I can monitor from any where. Works on PC smart phones ..
Cons: Nothing serious. I was looking for a customized feature which is not in the app however I contacted the support team and they promised to have this requested feature soon. Pros: The team behind Vizito shows flexibility every time I need support, changes or help. The solution is intuitive and easy to use. This is very important for us because many of our members are seniors and not used to handle an app. Cons: I would like an automatic transfer of statistics to .xls (excel) format not .csv . I would also appreciate more filtering on all fields. I hope this is possible to implement. We also have a special need to edit fields when a person make an error when registrating their visit (forget to make a choice). Overall: All members are very satisfied with the solution We are noe able to do registration statistics which we were unable to earlier. Overall: My company decided to use this product for our visitor kiosk to have incoming visitors be able to alert the people they are visiting when they arrive and to keep track of who is coming in and out of our building. 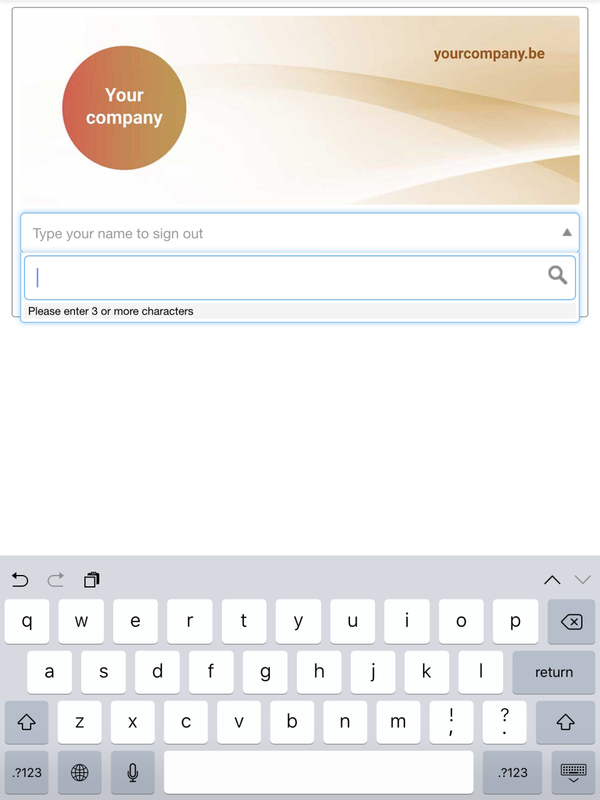 It was easy to setup and connects to our LDAP directory for name look up of our employees. We have been pleased so far with it's functionality. Pros: It is so easy, it takes 30 seconds to sign someone in. I have not heard any negative comments yet. Cons: The printing takes longer than I thought but it is no problem. it would be useful if you had the choice to only be able to choose a ticket from the pre-registered visitors. They added a feature for us to the system. Their customer service if formidable. Pros: I like the ease of use the most. 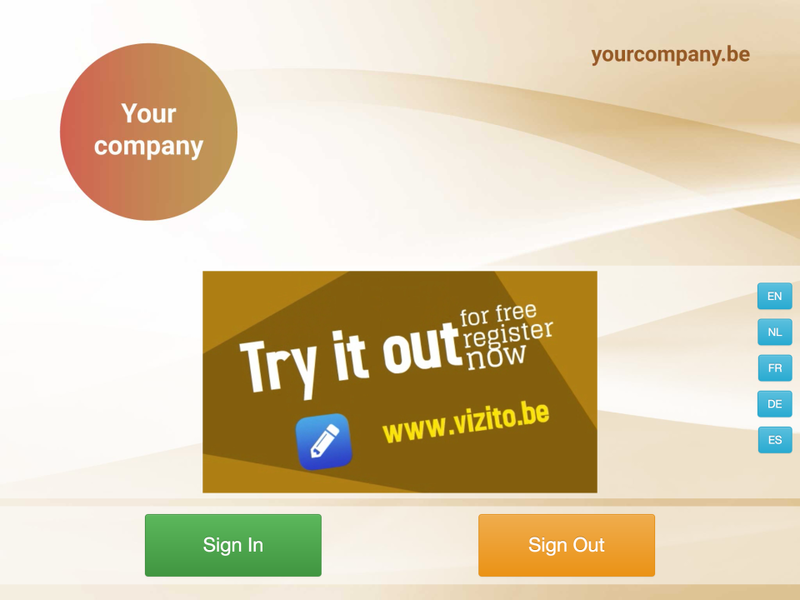 It is quite easy to setup Vizito it is also very user friendly. easy to install and configure. Cons: The font customization options are a bit lacking. The adminpanel could be a bit more user friendly. Pros: Easy to setup and use. It is really usable to replace paper log book. Cons: No separate privileged user account to set up. All configuration and usage activities could be done under single account. No separate account for device. Pros: Professional and easy to use. Looks good and so easy to navigate. Cons: Nothing. Everything seems to be running ok. Overall: Been thinking about it for 4 months. Did the trial and thought it right for what we need as a business. Pros: The simplicity of the check-in process and how we can log the visitors. Cons: When there is an alarm we need to print a visitor list. Feel free to contact us if you have any more suggestions for added functionality! Cons: The app has a loading gear icon that appears once you select the sign in button from the user interface screen. I also lags once in a while which could be due to the connectivity but it would be great to have an offline option for the app. 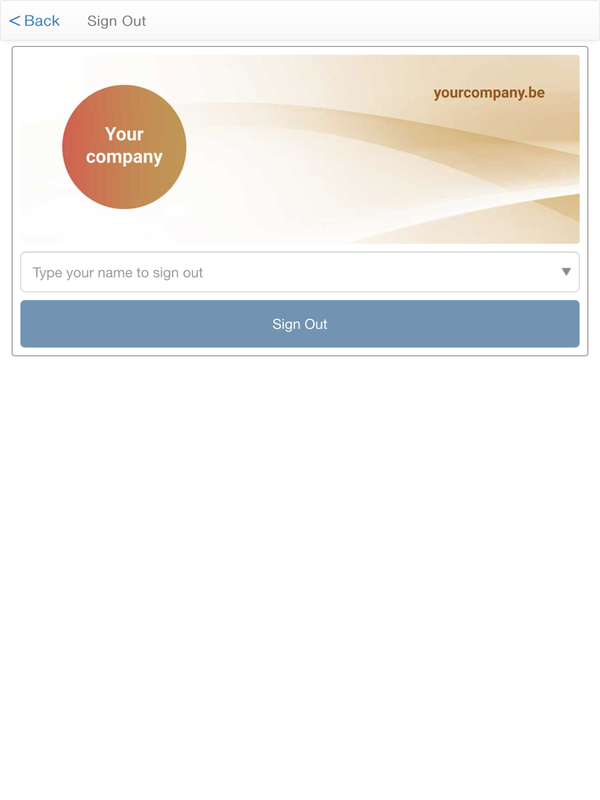 Overall: I run an event technology business and use Vizito to register guest for various functions. Pros: I do find it fancy and it takes some time so that I can focus myself on where the people have to sit. Cons: there are several steps to cross and it takes time to make the registration...It does not mention where the person can sit. If there are a lot of people, we have a long queue. Best visitor registration service available. Comments: Biggest pro for us was the Active Directory integration and excellent after-sale support. They really helped us getting started with the product. Simple, effective and easy to use! 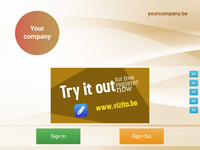 Comments: Vizito is a great application for cost effective and modern visitor registration. Thanks to the support team we've been able to implement this in no time and have our front desk focus on other tasks. Comments: New features are easy to install and are always an added value. Helpdesk always available and helpfull. Comments: User friendly, professional looking and very stylish. Just what we needed. 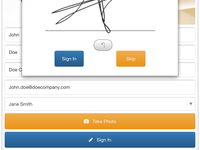 Great visitor registration app ! Comments: Very userfriendly app and a service oriënted organisation behind it ! Pros: The application is easy to set up and get going with, with all the customization done through the web backend. It doesn't take a lot of skill to be able to use it, it's very straightforward. Cons: I found that the customization options were a little lacking, with the interface both on the backend and the app itself not looking quite as nice as some other competitors. I also found that the backend felt sluggish to use, often taking a long time to load. Comments: Easy to use software. Great support. Overall: We are the a organisation for masons in Norway. We get good control about over our members. Who is in the building on our weekly meeting.